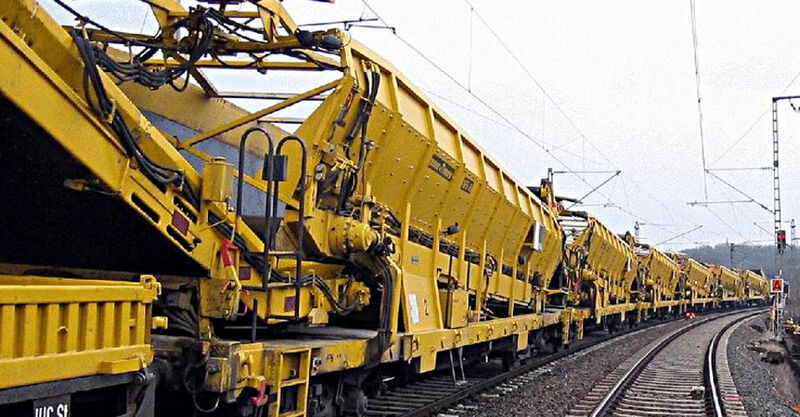 The fleet of Hering Bahnbau includes a total of six material supply wagons from series 38 (capacity of 38.00 m³) and one loading station (BLS 2000). Our material supply wagons are absolutely ideal for track-bound loading and unloading from the front during track construction work. Thanks to the possibility of lining them up in combination, large amounts of material can be handled in one go and without additional logistics outlay. The material is transported on to the next wagon in line from the front using high-performance motorised conveyor belts. This means that normal railway operations are not disrupted during loading with rail-road excavators or wheel loaders. Our logistics experts will be happy to advise you and offer you a customised solution for your project! The excavated material loading system is largely automated and only requires a few personnel to operate it. The system also boasts an autonomous power supply. Independent unloading is possible at any suitable location thanks to pivoting transfer belts. If necessary, we can optionally provide the working engine for transfer or even for handling logistics at the construction site. 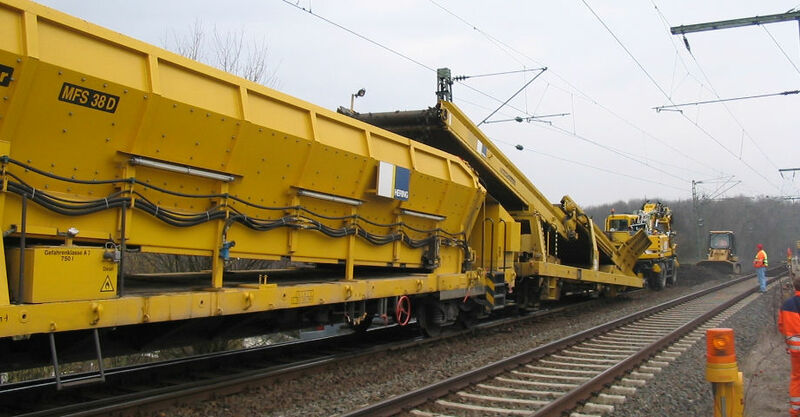 Hering is a specialist in the rental of large rail-bound machines: from track cranes and material conveyor and hopper wagons to loading stations. In addition, we have two-way excavators, the largest fleet of privately owned tamping machines as well as fast ballast spreading and grading machines at our disposal.